What can the The MNC Hub do for my business? The MNC Hub will help you define the next steps for your business. If you're looking to make 2019 the year that you show up and start making profit in your business then this is for you. Join our wait list to be the first to hear when our membership doors open! Founding members of The MNC Hub will pay less than the cost of a large, skinny, frothy cappuccino a day! Our doors will open in Spring 2019, to our founder members at a cost of just £29 per month, no contract, no tie ins. Joining the wait list is FREE! Why Choose The MNC Hub? Multi business award winning, entrepreneurial duo Sara Guiel and Nicky Chisholm have been at the forefront of the Mumpreneur revolution for nearly a decade. They are passionate about supporting women to make a serious contribution to their family economies. They have supported 1000's of business women through their events. As Founders of the UK'S Mumpreneurs Networking Club, they understand the unique challenges of establishing a business alongside raising a family. What is The MNC Hub? The MNC Hub is our online membership resource that gives you the confidence and clarity to make serious progress in your business. The MNC Hub is an ongoing resource library and learning facility to equip you with knowledge for sustainable and profitable growth. The MNC Hub is a community that will support and work with you through decisions and challenges. The MNC Hub will give you access to experts who have a wealth of expertise to share. The MNC Hub is masterclasses to inspire you from the best in business. The MNC Hub is a force to hold you accountable. The MNC Hub is the mentor in your corner. Sign up to our wait list here! How can The MNC Hub help me? The MNC Hub will be there for your business journey, to hold you accountable and steer you through the highs and lows. We get it. We really do - we've lived raising a family alongside launching, building and establishing a business. Sometimes you need someone in your corner to help you join the dots. Then the path becomes clearer and you can move your business forward. All you need to do is sign up, show up and believe in yourself. 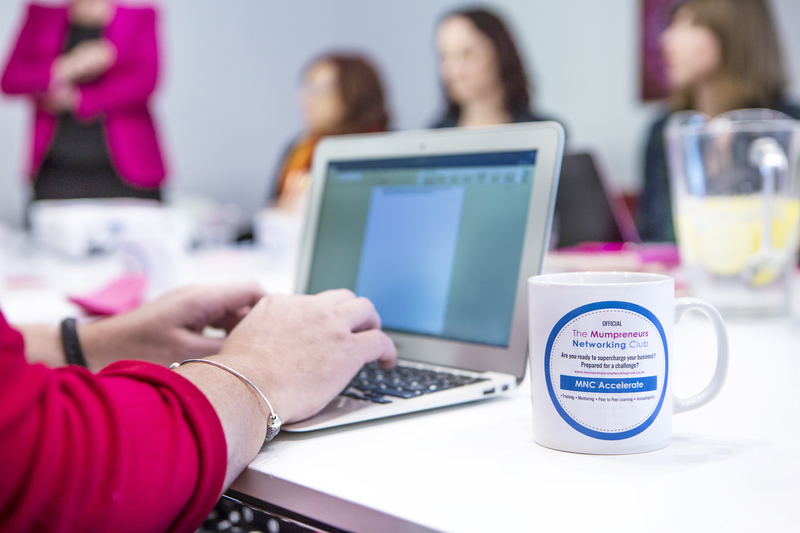 Join our MNC Online Facebook Group to network with other business owners, entrepreneurs and both Nicky and Sara. Get access to even more resources, training and events such as the MNC Festival. The MNC Hub Wait List Members get an extra welcome bonus. Known as the ultimate door opener, Amanda Ruiz is the PR person other PR people want to be when they grow up. There are PR planners, and then there's the Amanda Ruiz PR Planner. If you are sick of the competition hogging the media spotlight , this PR planner will help you get more eyes on your headlines. Just for signing up to The MNC Hub waitlist, you can download this invaluable PR Planner that Amanda has provided us with to share with you. When the doors open on Dec 3rd 2018 everyone on our wait list will be offered the opportunity to join The MNC Hub at the Founders Special price of £19 / month - half the regular price! That's for the duration of your membership - an incredible saving! Click here to be on the list!